It’s not all about safari experiences when you travel to the African continent. Are you, for example, into unique natural phenomena? Are you travelling with children? Or do you just dream of visiting Africa’s best national parks? Or perhaps a little bit of everything? Whatever the case, the experiences come thick and fast in Africa. Find your next travel experiences below! Africa abounds with stunning national parks and wildlife reserves that are great for safaris, and where you can experience the amazing nature and wildlife of the continent – and perhaps even the much sought after Big Five. Serengeti National Park in Tanzania has one of the world’s oldest ecosystems. And the enchanting national park is home to the five safari animals: the lion, the elephant, the buffalo, the rhino and the leopard. The beautiful scenery of the old park helps make the trip an adventure of the massive kind, and whether you get to see all the Big Five or not, the experience is truly one of life’s great moments. In the Masai Mara nature reserve, you drive out in the land cruiser to the vast and scenic plain. Masai Mara is outstanding. The park actually has one of the largest concentrations of wildlife, including the Big Five, giraffes, zebras, cheetahs and many others besides. If you wish to experience a phenomenon of grand proportions, you can visit the reserve from July to October, when the great migration of wildebeest, among other animals, is in Masai Mara. The rest of the year, the wildebeest are in Serengeti National Park. In South Africa, you have Kruger National Park, which is nothing short of 65 km wide and 350 km long. The national park is home to a long list of beautiful animals, including the Big Five. And if the chance of experiencing all five is not enough, stunning scenery also awaits you. The park has no fewer than 2,000 different plant species. Kruger National Park is South Africa’s largest and has been recognised as a national park since 1926. You will not regret a safari experience in the South African country, Botswana – one of the most exclusive safari destinations. Visit Chobe National Park, which is one of the best places to see elephants in Africa. There are estimated to be some 120,000 elephants living here. The national park extends over an area of 10,000 km2 and offers beautiful scenery and amazing wildlife. You will not only experience the flora and fauna in the traditional way from a land cruiser, but also from a boat on the Chobe River, which is a really exciting way to see the fascinating animals. Africa abounds with nature experiences, and it’s not only the experiences on the savannah that will take your breath away. 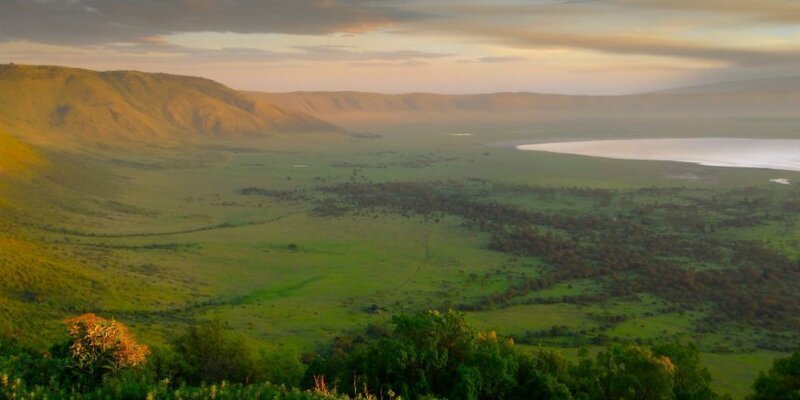 The Ngorongoro Crater in Tanzania is the remains of an extinct volcano. When you drive down along the edge of the crater – a 600-metre-long winding road – you can see the huge crater, which measures a massive 260 km2. The area is varied, with lakes, swamps, forests and savannah. In addition to its stunning scenery, the crater also boasts unique wildlife – around 30,000 animals! The crater is, for example, one of the places in the world with the highest density of lions. 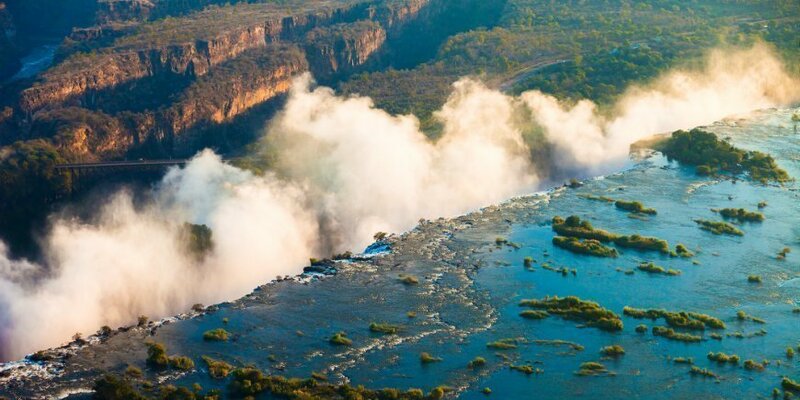 Zambia is home to a truly wonderful natural phenomenon: Victoria Falls. And the spectacular waterfall is really something! The waterfall is 1.6 km wide, around 100 m high and sprays water 400 m into the air. Every second, an astonishing 1,000 cubic metres of water crash down into the ravine. It’s not only the sight of it but also the sound of that makes it such an amazing experience – you can hear the waterfall before you can see it! So it’s not for nothing that it’s called Mosi-oa-Tunya – the smoke that thunders – by the locals. A natural phenomenon in an absolute class of its own is Sossusvlei, the red sand dunes in Namibia. When you reach Sossusvlei, the landscape is fascinatingly red as far as the eye can see. The beautiful red expanses will take your breath away! You can also experience Sossusvlei from a hot air balloon at daybreak, when the sun’s gentle rays paint the landscape in beautifully changing shades. Floating above this fairy-tale sea of sand is a truly unique way to experience Sossusvlei and Namibia. There are many ways to be at one with nature when you visit the African continent. If you’re looking for an out-of-the-ordinary “at one with nature” experience, sleeping in tents out in the wilderness is a must, in wild camps, for example. The unique thing about staying at a wild camp, or other tented camps, is that you get right up close to the nature and wildlife. You can both sleep in and just outside the national parks, and if you’re lucky, animals such as antelopes and zebras will visit in the darkness of night. There is just something so magical about going to bed and waking up in the heart of the wilderness. Are you crazy about trekking and being at one with nature? 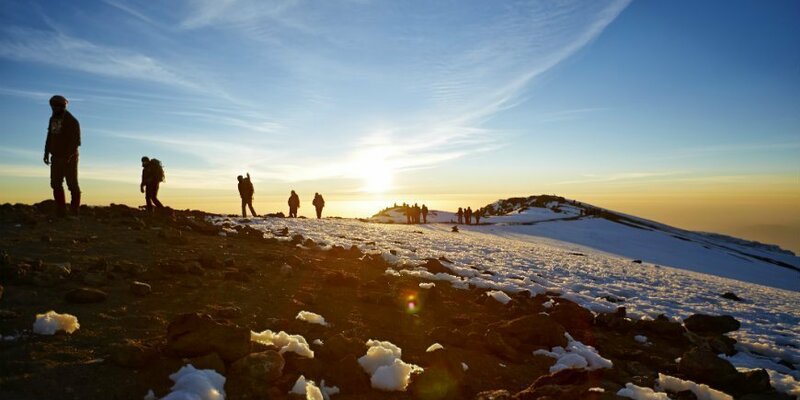 A trekking tour to the top of Kilimanjaro in Tanzania is an utterly unique experience. You stay overnight in camps on the way up the world’s highest free-standing mountain, which is nothing less than 5,895 metres high. The higher up you trek, the colder the nights are in your camp. You should therefore be sure to have the right clothing with you. The vertical metres behind you, you can enjoy your victory with an exquisite view across the stunning landscape. Get right up close to nature on a bush walk – a safari on foot. Walk on the savannah among the beautiful African animals. And fear not! You’re guided by a ranger with in-depth knowledge of the area. The guide gives you a unique insight into the nature and wildlife, as well as how to decode the signals of the savannah – by listening, observing and smelling. A safari close to nature and wildlife is nothing less than a fascinating experience. There is great cultural diversity in the African countries. There are around 3,000 tribes and 2,000 languages in the African countries, and it is fascinating to experience some of the many tribes with your own eyes. Round huts, red robes and cattle. 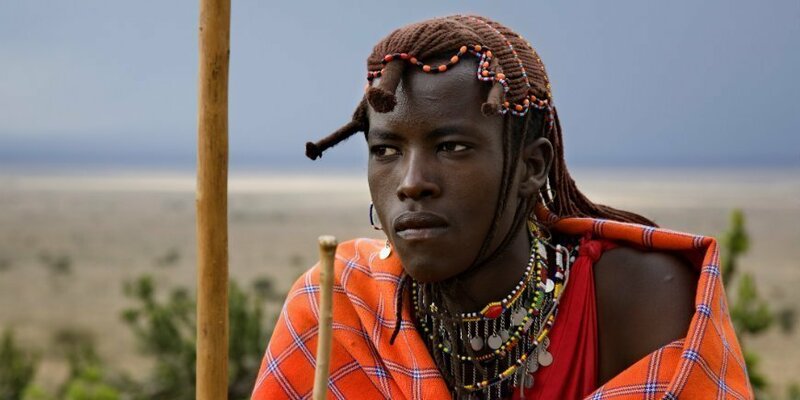 These are some of the characteristics of the Masai. The Masai are incredibly easy to recognise from a distance due to their “shuka”, their red robe. They also have pierced ears and wear beautiful colourful chains. The people live as shepherds and warriors, and live off the cattle they breed. Another characteristic of theirs is that they spit at each other, which symbolises a blessing. Swaziland is probably not a place many people are familiar with. The country, which borders South Africa and Mozambique, became a kingdom in the early 19th century. However, Swaziland did not become independent until 1968. As soon as your passport has been stamped at the border, you can explore the kingdom. Experience the unique Swazi Candles, go to the market or watch traditional dance in a village, which is a colourful and royal experience. The San People, who live in Namibia among other countries, can be traced back 25,000–30,000 years. They have traditionally lived as hunters at one with nature. However, the Bushmen, as they are also known, have not always had it easy, particularly during colonisation when they were, for example, used as shepherds and paid in alcohol and limited amounts of food, which resulted in alcoholism. Today, the San people are helped by the Ombili Foundation, which puts a roof over the heads of around 480 people. And here, you can learn more the ancient people. Africa is for children and adults alike. If you want to go on safari with younger children, it is worth considering our child-friendly tours. In the malaria-free Kariega Game Reserve in South Africa, you will find the perfect conditions for a family safari. The nature is versatile, with bushland and open grasslands, highlands and valleys – making it a wildlife magnet. You will stay at a family-friendly lodge, which is fenced in, and where there are plenty of experiences and activities for the young and old alike. Another advantage is that you don’t have to worry about malaria, which can give you a little more peace of mind on your holiday. The place is ideal in every way when travelling with young children. 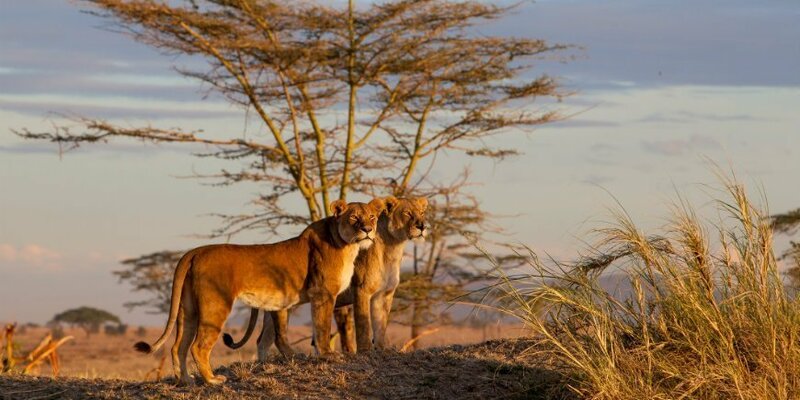 On a family safari in Kenya, you get a whole host of experiences for the whole family. The elephant orphanage in Nairobi, Lake Naivsha, a freshwater lake 1,890 AMSL on route to Masai Mara, where a vast array of formidable safari experiences for all ages await you, and wonderful relaxation in Mombasa. You get your own car, which gives you more freedom to take breaks along the way, which is especially useful when travelling with young children. Travel adventures are guaranteed for children and adults alike on this family safari. When travelling with children, it’s nice to be able to set the pace. And you can do just that on the unique Garden Route in South Africa. Unforgettable experiences are guaranteed, whether you are travelling with children or not. The Garden Route offers plenty of child-friendly experiences. 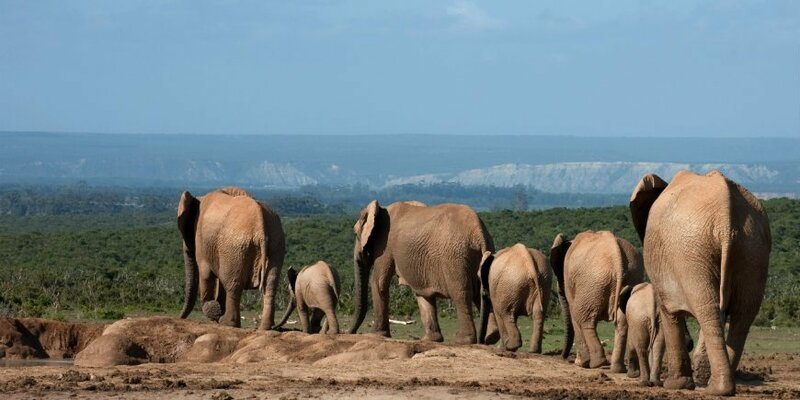 Experience animals in South Africa’s third-largest national park, Addo Elephant National Park, visit an ostrich farm in Oudtshoorn and enjoy a wonderful trip along the entire coast. The Garden Route is an experience for the whole family. Round off your safari, self-drive tour or Kilimanjaro trek with relaxation and turquoise-blue waters at one of our beautiful beach holiday destinations. On an island in the middle of the Indian Ocean, it’s relaxation on tap. Zanzibar has everything your heart desires after enjoying a string of experiences on the savannah, for example. Spend a few days relaxing with white sandy beaches, beautiful water and fabulous corals. Spice up your days with some fascinating Arabic history in the old town, Stone Town. 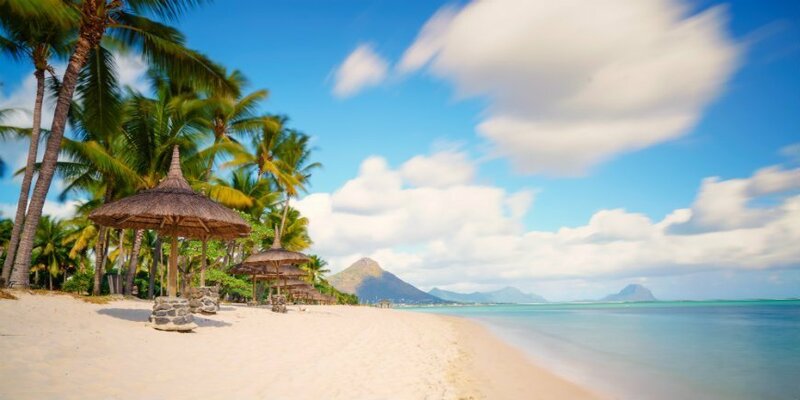 The Indian Ocean has yet another gem of an island: Mauritius. And the island is really quite something. Crystal-clear waters, beautiful sandy beaches, swaying palms and beautiful coral reefs help make this unique gem a perfect end to your holiday. Mauritius is one of the most exclusive islands in the Indian Ocean, so enjoy yourself! In addition to first class beaches, you can also enjoy the scenic nature of the island, including include sugar cane fields, mountains, waterfalls and lagoons. Mombasa is located on the southern coast of Kenya. The city offers a beautiful beach, history and harbour town vibe. So, rounding off your holiday here gives you the opportunity to relax on the beach by the Indian Ocean, read a good book and swim in the fabulous waters, not to mention check out the colourful culture in the city streets, enjoy a little more safari on a day excursion or go on an evening cruise with delicious food. Mombasa has a lot to offer. Can’t wait to get away? There’s almost nothing you can’t experience on a tour to the beautiful African continent. No matter where you travel, you will take home unforgettable memories. All our tours combine several different types of travel experiences, so there is definitely a combination to suit you. If you have any questions, please contact our travel consultants, who are on hand to help you find a holiday of a lifetime.